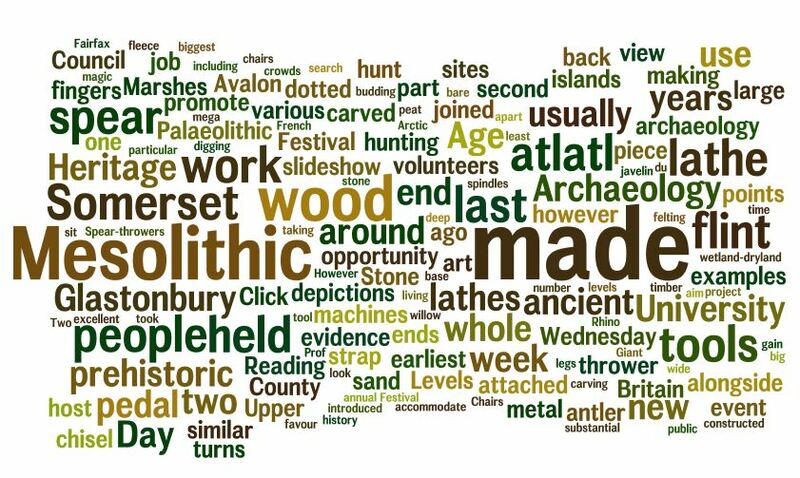 The Avalon Archaeology ‘Hands on Heritage’ project celebrates the archaeological work undertaken by the South West Heritage Trust in the Avalon Marshes area of Somerset. This work involves community archaeology projects, experimental archaeology and the creation of replica building of different periods at the Avalon Marshes Centre. The Saxon longhall and Roman villa dining-room have been created by the HoH volunteer group. They will eventually be open to the public and school groups for educational work as the ‘Avalon Archaeology Park’. Opening is planned for early 2019. If you would like to learn ancient skills and get involved with these exciting and unique projects, take a look at the Get Involved page. From King Arthur and the Isle of Avalon to the incredibly preserved remains of prehistoric trackways and lake villages, the Somerset Levels & Moors have a rich and varied heritage. This film provides a short introduction to the story of this unique wetland and its inhabitants. It tells some of the stories around Glastonbury, Alfred and Athelney and describes how people have adapted to living and working in this special landscape. Filmmaker Justin Owen 7 mins. The ‘Hands on Heritage’ project was developed as part of the Avalon Marshes Landscape Partnership scheme; a three-year venture funded by the Heritage Lottery Fund.